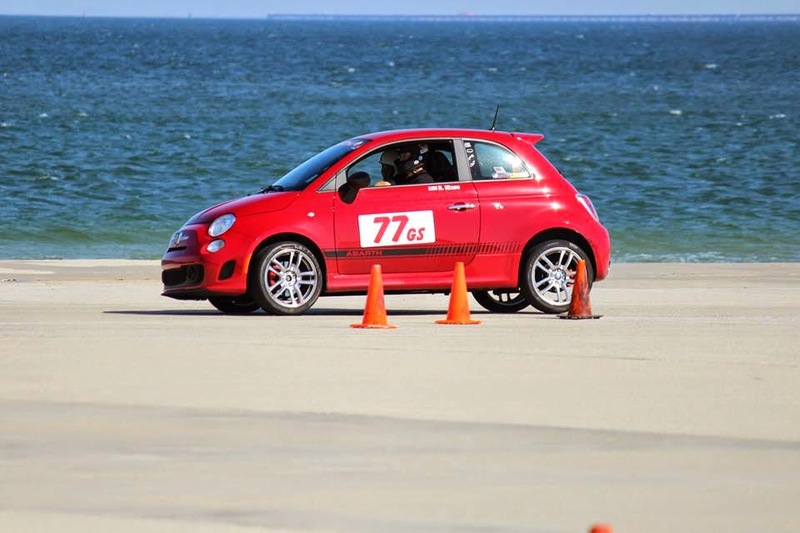 Back in March I posted my autocross goals for the year, so now that the season is over and I've moved to Virginia, let's see how I did with the FIAT Abarth. GOAL: Compete in all the South Carolina Region events this year. RESULT: Missed it due to one weekend of work, and later moving to another state. Overall though, I competed in more events than last year, and had even more fun! GOAL: Finish each event safely, with no mechanical issues. RESULT: Mission accomplished! Of course I'm driving a 2013 model car, so it shouldn't have any issues, but it's also important to have goals that are both realistic and attainable. Always checking tires, fluids, brakes, etc. is still part of driving safely no matter how new or old your car! GOAL: Score points at each event. RESULT: In 2014 I competed in GS class, usually not against a ton of drivers, so yes, I scored points in every event. Not as many as I'd like, but still in the competition. GOAL: Most points for GS cars. RESULT: Missed this one. Congrats to Michael Arnold driving a Focus ST and Justin Robinett driving another Focus ST for scoring more points than the FIAT. No complaints from me, they both out drove me, and I won't even mention that the Focus has about 90 more horsepower! GOAL: Top 5 in Street. RESULT: Not even close! At the start of year our South Carolina Region was going to lump all the Street classes together for competition, but then they changed their plan to keeping everyone in their own class (AS, BS, CS, DS, ES, FS, GS, HS). Looking at all the times from each class in each event, I was lucky to get in the top 10 overall only once, so I have to say the decision to have each class compete separately was the best way to go! GOAL: Improve RAW and PAX places. RESULT: Mission accomplished here, and we're still crunching some data to see how I did when compared to not just G Street or all the A-H Street classes, but EVERYONE that drove. Last year I started only beating about 20% of all drivers on PAX adjusted time, so this year's improvements in driving and more experience had me in the top 50% in every event. So that's the FIAT wrap up of Autocross 2014 with NMS. I'd say I accomplished 3 of the 6 goals, so if this was baseball then batting .500 would be awesome! Once the calendar turns into 2015 I'll have to again publicly post my goals and try to improve my driving skills. Here in the Virginia Beach area there are two groups that sponsor regular events, the Tidewater Sports Car Club and the Old Dominion region of the Sports Car Club of America. Right now I'm planning to drive as many events as possible, so we'll see how that turns out in the new year.